One billion people check their Facebook feeds every day, mindlessly scrolling through texts and photos to keep up with friends and family. 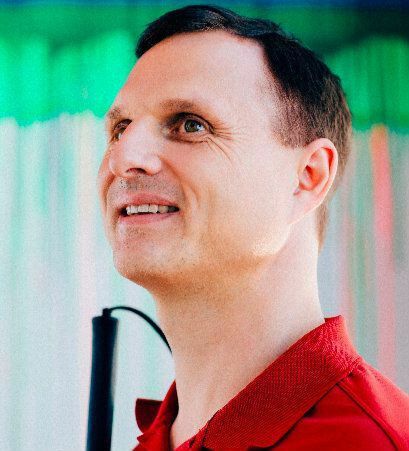 King joined Facebook in June as the company's first blind engineer to make sure millions of visually impaired Internet users around the world are not handicapped in their personal relationships simply because they can’t do the same. After the silent pause in his demo, King unveils the result of the first big project he’s been a part of at Facebook. A second photograph from another Facebook contact is said to include “pizza.” Vague, sure, but at least it tells you something to keep you in the loop — more than that dark screen. This AI-powered tool, officially released in its applications on Tuesday, is part of what Paul Schroeder, VP of programs and policy at the American Foundation for the Blind, described to me as a “tipping point with accessibility.” The same technology that some scoff at or even fear today — artificial intelligence, self-driving cars, voice-powered personal assistants and robotics — could fundamentally transform the lives of the visually impaired in the coming years. 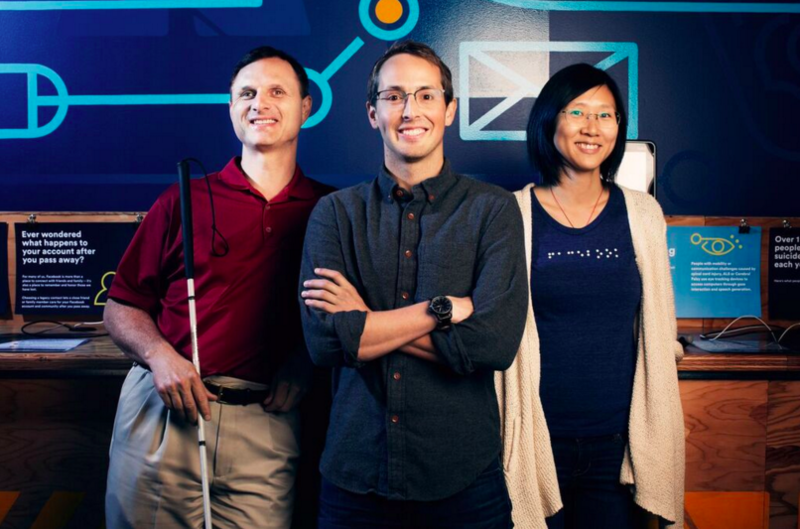 As a member of an accessibility team at the world’s largest social network, and one of the few engineers anywhere in Silicon Valley with first-hand experience of blindness, King has the potential to shape the broader conversation and influence products built by other technology companies for the visually impaired. Just last week, both Microsoft and Twitter announced tools similar to the one King has been working on at Facebook for months. More than many others tackling this problem, it is deeply, deeply personal for King. He wants to be able to work and live online and offline just as well as anyone else. Better in fact, according to interviews with friends, coworkers and King himself. King with his colleagues from the Facebook accessibility team. “I’ve always had a competitive streak,” he admits in one of our conversations. As a result, he continues to set new standards, both technologically and physically, for what visually impaired people everywhere can accomplish. King has pushed himself physically to set racing records as a bicyclist (yes you read that right). He has put in the hours to study how to play the pipe organ. He designed and built a house for his family. And he has worked as an engineer at some of the biggest and most revered technology companies around. King got on his bicycle and set out from his parents’ home in Centralia, Washington to a doctor’s office to get a routine allergy shot. Along the way, King, a cycling lover who used to deliver newspapers, veered off the road several times and couldn’t understand why. “I thought I could see the edge of the road, but something funny was going on because the edge of the road wasn’t where I thought it was,” King recalls. Though born legally blind, King could still see well enough most of the time to do schoolwork and ride his bike. That experience pedaling to the doctor in his late teens proved to be the clearest early warning sign that the remainder of his vision was fading as a result of a condition called retinitis pigmentosa, which destroys the retina. During the next 3-4 years, he used a special magnification system to blow up the size of text on his computer screen larger and larger to view equations for his college electrical engineering classes. But it was no use. By the time he graduated from the University of Notre Dame at 22, King was completely blind. It was a crushing blow for someone who had spent much of his life pushing back against the idea that he was “blind” just because his vision was below a certain level. He decided to do even better. 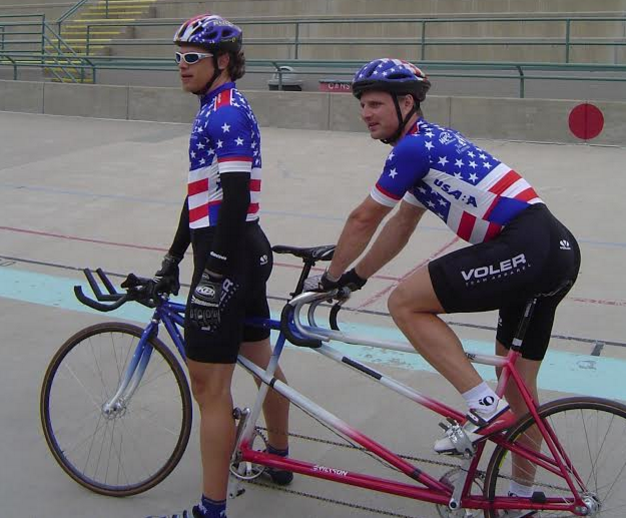 Matt King, right, riding on a tandem bike. Eric Degolier, a professional cyclist, wasn't sure what to expect when King contacted him out of the blue in 2004. King had seen Degolier compete and asked if he would want to ride together on a tandem (or twin seat) bicycle at that year's Paralympic Games in Athens. Degolier didn't really know what all of those words meant, but he soon found out. In the early 90s, King began riding again on tandem bikes, paired with another cyclist in front who could see. Then he started competing professionally, setting a cycling record in the 4,000 meter pursuit at the 1996 Paralympic Games in Atlanta. "I guess the competitive streak just naturally continued," King says, with his trademark understatement. Whatever doubts Degolier had about King's racing potential were erased the moment they first met in person. "He has enormous thighs," Degolier says. "Right away, there’s no doubt this guy is a real athlete and will pull his weight here." While in Athens, Degolier witnessed something powerful that has stuck with him ever since. Men and women who were blind, missing limbs or facing other disabilities mingled together like a band of carefree misfits inside the Olympic Village, a scene which many athletes in attendance jokingly compared to the famous cantina scene from Star Wars — in the best possible way. "It was an atmosphere where they didn’t have to see the people staring at them, or treating them as if they have a handicap," Degolier recalls. "They would go out for a movie. They wouldn’t park in the handicap stalls." And King too, according to Degolier, "wouldn’t have felt discriminated against." King worked to achieve that same feeling professionally. 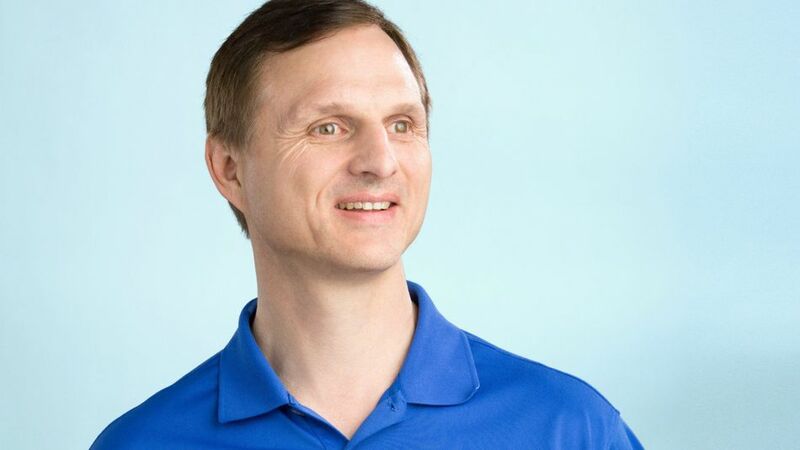 He joined IBM as his first job in 1998 for a six-month gig, met the accessibility team there and ended up working with them for nearly two decades. IBM created its accessibility department in 1985, well before most of Silicon Valley was thinking about the issue, partly in response to an IBM researcher who had gone blind. “I never really understood the magnitude of what this would mean for people,” says Schwerdtfeger, an early member of the accessibility team who later worked closely with King. A blind IBM researcher uses an early tool for reading webpages aloud. 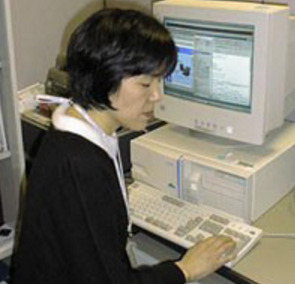 By the time King joined, IBM had already invented the first screen reader to help blind workers scroll and identify text on the computer screen. King’s key contribution, according to multiple colleagues from that era, was to help refine and improve the user experience from the rare perspective of someone who is both blind and a coder. Over the years, he also played a significant role in authoring and pushing new open standards to help web developers make the Internet more accessible to those with disabilities. “There were other blind people and several of them provided good input from the standpoint of a user, but what Matt brought to the table was an understanding of the technology underneath,” says one current IBM staffer, who requested anonymity because he was not authorized to talk about former employees. Even with all they accomplished, King was increasingly constrained by bureaucratic limitations within IBM and eager to have a bigger impact, and perhaps a higher profile, elsewhere, according to former colleagues. For Facebook and its peers, committing more to accessibility efforts is more than just good PR, though it's certainly that too. Andrew Johnson, an analyst at Gartner, says tech companies increasingly need to cater not just to people with disabilities but to the "situationally disabled." People who may not be able to read because they are driving, or in a noisy place, and could benefit from technology similar to what helps the blind. King may end up helping both keep connected to the people they love throughout the day. "The fact that you have somebody who has worked on accessibility who actually has the disability, is in a leadership position at probably the most pervasive application on the planet and is willing to put themselves out there like that," Schwerdtfeger says, "that's a big deal."